Have you started planning for Valentine's Day? Are you like me and have to hint to your sweetie about what you really want for a gift, besides flowers and chocolates, which guys usually surprise you with? Well, do I have a great gift idea that really is a must in every women's wardrobe. Have you heard about Boots by TwoAlity? Don't worry if you haven't, as I only recently found out about this company run by two sisters, who are twins, which began back in May 2013. Once I was done browsing their online shop, I had a wish list a page long of boot liners I wish I had, along with a starter boot set. So, why are these boots so special and make them different from other boots on the market? Well, for starters the boots, which are made in the USA, are clear. This allows you have to only have to buy one pair of boots and then be able to change up the style to match your outfit or mood, simply by adding a boot liner to the boot. Visit TwoAlity now to learn more abut their starter kits and boot liners, as well as learn about the two sisters behind this amazing must have. And, right now the ladies at TwoAlity have a wonderful Valentine's Day Promotion that they kicked off yesterday and will run through Feb. 14th. Add an adorable matching wristlet to your daily on-the-go routine! Cheers to the newest addition to the TwoAlity fashionable and functional lines! 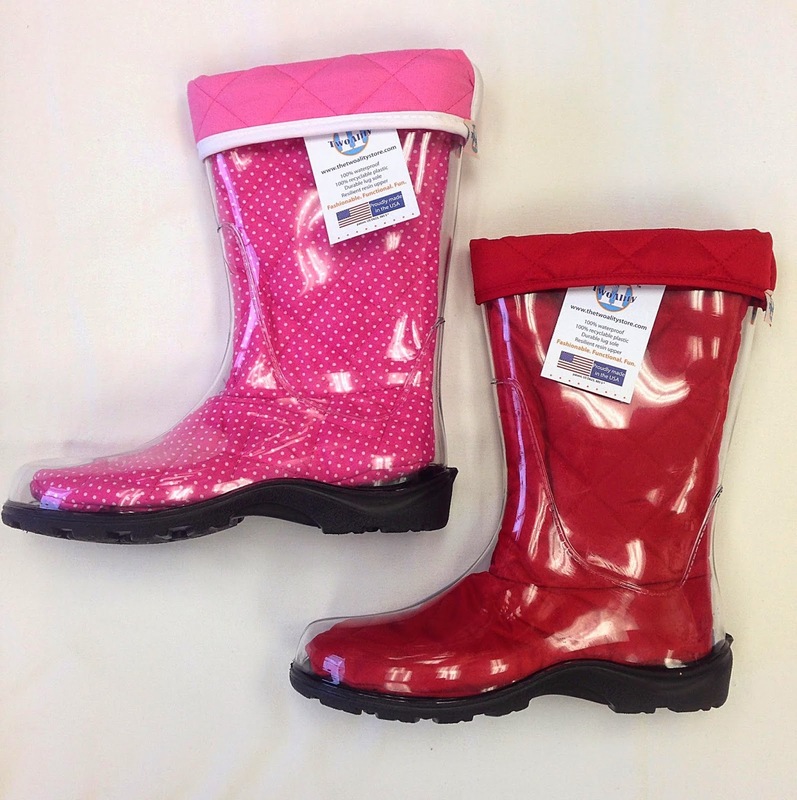 Already well-known for their Boots By TwoAlity clear boots with interchangeable liners, their delightful brand new wristlets fit the majority of cell phones including the iphone 5 and a Samsung galaxy 4 leaving more room for your favorite lipstick, mints, business cards, identification and money. 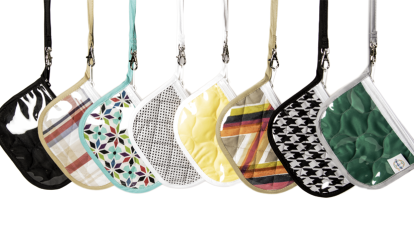 You can text through the plastic screen and can take calls with your phone still in the wristlet. This little beauty can go from a purse’s best accessory, the coin purse, to the perfect stand-alone, light-weight wristlet. 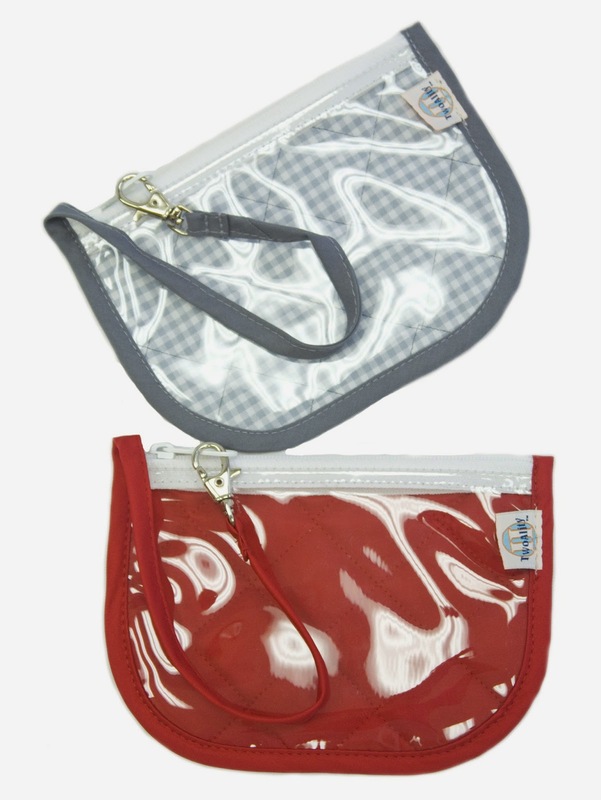 The wrist strap and d-ring in the tote allow you to keep the coin purse secure and easily accessible. The TwoAlity wristlet is 5’’ tall, 7’’ wide. The wrist strap is 11’’ long, including the clasp. TwoAlity's Valentine's Day Promotion runs January 14th -February 14th and the founders - twin sisters, Brynne and Bailye Stansberry of Columbia, Missouri are giving away a FREE red wristlet with the purchase of $50 or more on their site www.thetwoalitystore.com.